26 October 2018 - Saudi Arabia should immediately and unconditionally release all arbitrarily detained activists, respect their rights to freedom of expression, association and assembly, and put an immediate end to its nationwide crackdown, a coalition of leading human rights organizations said today. A symbolic display of the magnitude of the authorities’ crackdown has been the enforced disappearance, alleged torture and the extrajudicial killing of Saudi journalist Jamal Khashoggi in Saudi Arabia’s consulate in Istanbul, Turkey. “The nationwide crackdown against civil society in Saudi Arabia continues unabated”, said Danny Sriskandarajah, Secretary General of CIVICUS, the global civil society alliance. “Journalists, bloggers, human rights defenders and lawyers are facing arbitrary arrest, detention, smear campaigns labelling them as ‘foreign agents and terrorists’, and criminalisation for exercising their fundamental human rights”, added Sriskandarajah. 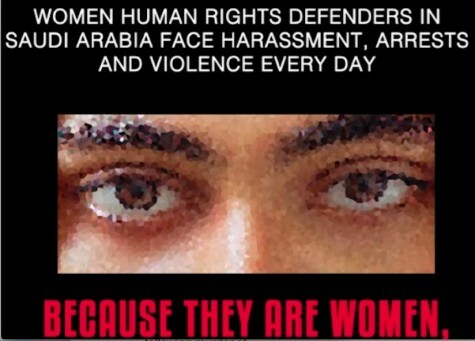 “There has never been a more critical time for the international community to hold Saudi Arabia accountable for years of widespread and systematic human rights violations committed with impunity including gender-based discrimination against Saudis as well as violations of international humanitarian law in Yemen”, said Khalid Ibrahim, executive director of the Gulf Centre for Human Rights.